MBChB 1984 DRCOG MRCGP M.Phil - joined the practice in 1989. He is the Lead Trainer for the practice and responsibile for the supervision of trainee doctors. He is the lead partner for childhood immunisation, hypertension and heart disease. MBChB 1985 DRCOG MRCGP MD - joined the practice in 1990. She has responsibility for stroke management, mental health care and is the lead partner for formulary development and prescribing She is also responsible for the training of foundation doctors and medical students. MBChB 1992 BSc MRCGP DFP - joined the practice in 2000. She is the lead partner for women's health and kidney disease. She is also involved with the training of junior doctors. MBChB MRCGP 2007 DRCOG. Joined the practice in July 2014. MBChB 2008 MRCGP. Joined the practice in July 2014. BSc MBChB MRCGP. Joined the practice in April 2016. MBChB MRCP MRCGP - has been employed as a salaried doctor since 2005. She specialises in diabetes care within the practice. Joined the practice as a salaried doctor on 1st March 2017. Dr Rachel Hopkins joined the practice in June 2018 and currently works 4 sessions per week. The Cairns Practice has been involved in the training of young doctors since 1993. We usually have one or two GP specialty trainee doctors join us at the beginning of August each year. These doctors are fully registered and already have extensive medical experience from their earlier jobs in hospital. They are supervised by the practice at all times. From time to time we may ask your permission to record your consultation with one of the trainee doctors as part of their training. You can decline this if you so wish. Dr Asim Mohammed our current GPST1 doctor will be with the practice until August 2019. The practice also provides training for more junior doctors who have already worked in hospitals for 1 year. They are usually attached to the practice for four months. They are fully supervised by the practice and will often ask their supervising doctor to come in at the end of their consultation to discuss your case. Dr Jeffrey Rudston-Brown our current Fy2 doctor will be with the practice until August 2019. Dr Anna Ramsay our current Fy2 doctor will be with the practice until August 2019. From time to time medical students will be present for teaching in the practice. If there is a medical student expected at your appointment you will be informed of this when booking your appointment. You can decline to have the student present if you so wish. 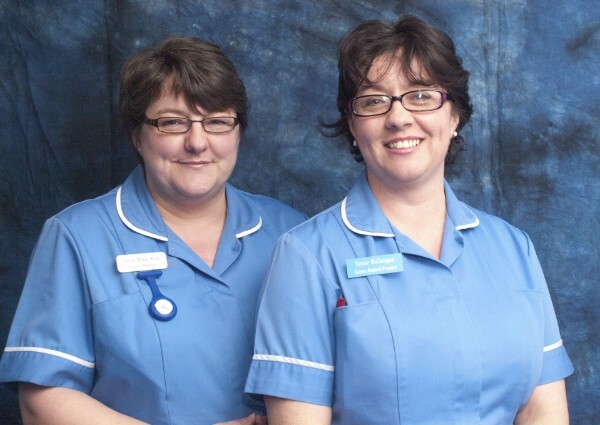 The practice nurses also run clinics for long-term health conditions such as asthma or diabetes, minor ailment clinics and carry out cervical smears. Receptionists provide an important link for patients and are the initial contact point for general enquiries. They can provide basic information on services and results and direct you to the right person depending on your health issue or query. Receptionists arrange appointments with the GPs and nurses. They also perform other important tasks such as issuing repeat prescriptions and dealing with prescription enquiries. Our Health Visitor Danielle Ward is a registered nurse who has received training particularly related to babies, children and pregnant women. Danielle's role is to provide families with children under five years old with support and advice around the general aspects of mental, physical and social wellbeing.